There's something that I love about having Magneto on an island with dinosaurs. It just makes no sense, which is probably what I love about it! Have a safe and fun holiday weekend, folks! It makes no sense, which is why it's perfect! More please! This makes me so happy it's not even funny. Cool idea and perfect balance of black/white areas! This happened in my backyard the other day. 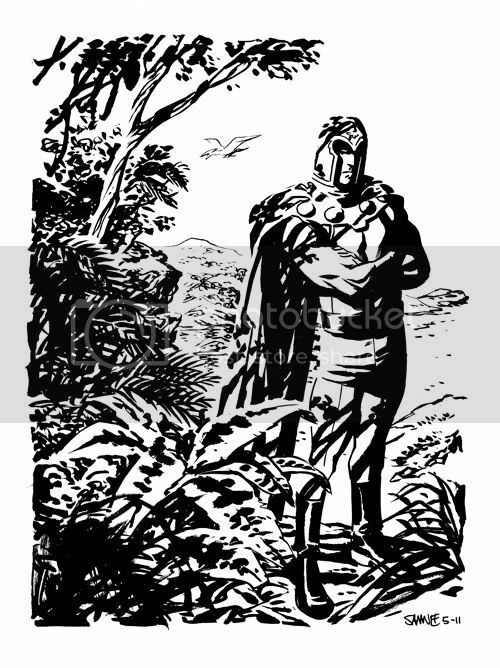 I opened the back door and there was Magneto among some trees and bushes with dinosaurs behind him. I shut the door, opened it back and they were all gone... except for one moderate-sized pile of dino poop. Thor: TMA page up for sale!